We wanted to let you know that we will be adding several new fields to Downloadable Feeds on February 6, 2017 in order to help you better select which items to promote to your visitors. If you’re interested in learning more about downloadable feeds, check out this 45-minute recorded tutorial hosted by the eBay Partner Network Product team. If you’re not yet familiar with downloadable feeds, these are large daily files of eBay listing data that can be cached in your own system and used to power high-traffic applications. They are most applicable to publishers who have a strong programming background and run a shopping comparison site, loyalty program or large portal. As of September 2015, feeds are currently available for partners in our US, French, German, Spanish, Italian and UK programs, with more to be added in the future. Learn more about eBay downloadable feeds, including some recent additions, by attending this webinar hosted by our product team. If you’re not already familiar with downloadable feeds, these are daily files of eBay listing data that offer a way to power high-traffic applications such as shopping comparison sites, loyalty programs or large portals, by caching eBay listings in your own system. Feeds are best suited for partners in our US, French, German, Spanish, Italian and UK programs (with more to be added in the future) who have a strong programming background and operate a high-traffic site. If you’re an existing eBay feeds user, we strongly encourage you to attend as well, as we’ll cover upcoming changes and enhancements that will affect you. Space is limited, and an ePN Publisher ID is required for this webinar. If you have any questions, please let us know in the comments below. A few days ago it came to our attention that some partners were having difficulty utilizing eBay site RSS feeds in an affiliate capacity. After taking a closer look at the issue, our team determined that these legacy feeds should not be used for this purpose. Additionally, the ability to create new feeds using this process was removed from the site a while ago. Most of the feeds are currently up and running - with the exception of Spain, France and Switzerland - which will be restored on Monday. However, even though the technical team have worked to get these site feeds restored in the short term, they will be going offline permanently in the coming weeks. Our strong recommendation is for anyone currently using these site feeds to, instead, utilize our ePN RSS Feed Tool. If you have any questions, please Contact Us or email us at: epn-cs-english@ebay.com. It’s no surprise that smartphone use has been rapidly climbing over the past few years, with about a quarter of the global population now owning at least one mobile device (source). And mobile ecommerce is following the same trajectory, with 22 percent of web traffic and 18 percent of ecommerce sales now delivered through mobile devices (source). So how can affiliate marketers tap into this growing market? By developing a mobile strategy that enables you to deliver a seamless experience across any device, you’ll be more likely to increase reach and conversions, thus increasing your affiliate earnings. Here are a few top ways to appeal to on-the-go shoppers. With more than $22 billion in mobile commerce volume in 2013, eBay delivers great experiences anywhere, anytime. In fact, users accessed listings via mobile devices in 40 percent of gross merchandise volume in the fourth quarter of 2013. Many of our partners understand the value of mobile – in fact, 22 percent of respondents to our recent survey indicated that mobile was the single most important factor in their 2014 growth strategy. 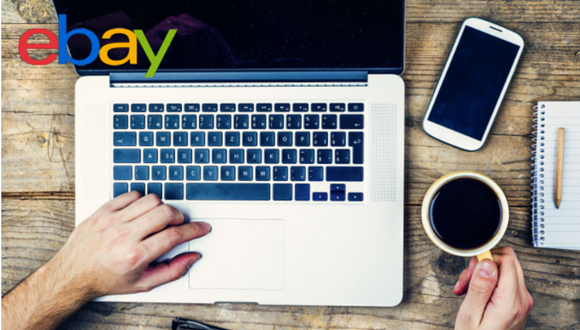 Many of our publishers have sites that appeal to Fashion, Tech, Collectibles or Motors enthusiasts, which is good news for mobile initiatives: these eBay categories have been proven to perform the best via mobile. If you’re not yet looking into capturing additional revenue from mobile users, there’s no better time to start than now. Mobile devices continue to see increased click-through rates, so once your audience arrives at your destination, make sure you’re offering them a welcoming experience. The good news is that according to our mobile survey, 57 percent of ePN publishers have already taken steps toward capturing mobile affiliate sales by creating a mobile-optimized site, and 29 percent of those without a mobile site plan to implement a solution within the next six months. Determine which solution will work best for you and your visitors by weighing the options: a dedicated mobile site or a responsive overall site design. A dedicated mobile site is essentially a copy of your website, which delivers an optimized page and navigation that’s fit for mobile devices. This option creates a unique experience for mobile users, and can be more cost effective and easier to implement. On the other hand, responsive design is more flexible and adaptive, automatically adjusting displays based on mobile specs. It also doesn’t require you to introduce an additional domain. There are several ways you can capture additional revenue by directing your mobile visitors to eBay, with the help of ePN tools. Based on our survey, text links are the most commonly used, with more than half (51%) of mobile strategies deploying this tool. Other popular methods include using the product feed (33%), HTML custom banners (27%) or the API (23%) – or all of these tools (15%) for a comprehensive mix. By using the information in the Transaction Download Report, you can see how your efforts are paying off as you focus on driving more mobile traffic to eBay. You can filter the Transaction Download Report to show your level of mobile traffic, enabling you to evaluate which campaigns are driving the most mobile revenue. This data can help you further refine and optimize your ePN campaigns. As technology, mobile ecommerce and the affiliate marketing industry continue to evolve, tuned-in marketers taking advantage of mobile capabilities will be able to find even more opportunities to drive traffic and increase earnings. Stay tuned for more info on ePN mobile opportunities, and let us know what you’re doing to capture this additional revenue stream in the comments below. The API (Application Programming Interface) is one of the most powerful ePN tools available. Not only does it give you access to all of eBay’s inventory, but it also enables you to customize listings to optimize your campaigns and improve your conversion rates. The API is the most open and powerful tool for tailoring eBay listings to work harmoniously with your site. There is also functionality to integrate ePN reports within your own backend systems for a more streamlined way to monitor your performance. You can use the API to personalize eBay’s listings according to filters, thus maximizing your performance potential. There are multiple types of calls and filters available for you to experiment with to find the mix that works best for your visitors. For example, a comparison website might use the API to display eBay products that are sold by top rated sellers, above a certain amount, and with free shipping, which could help drastically improve conversion rates. How do I access the API? First, apply to join the Developers Program here. After you have been accepted, go to “My Account” and click on “Generate Productions Keys” to get an Application ID. Then, begin by picking a call, checking out the sample code and testing using your Application ID. From there, you can build your app, test it and have it approved by the eBay Developer Program to start making up to 5,000 requests per IP per day. For more details, check out the Checklist for Going Live. What are the different APIs available? How can I filter my listings? Though we have a number of APIs, the most popular ones are the Finding API and the Shopping API. The Finding API enables you to search for items using eBay's Finding Platform. This API allows advanced search capabilities for eBay items, while providing useful metadata to refine searches and enhance the search experience. The Shopping API is optimized for response size, speed and usability. You can use the Shopping API to search for eBay items, products and reviews, user info, as well as popular items and searches. You can also retrieve public eBay data in a buyer-friendly view, for easy consumption by widgets, search tools, and other buyer-focused applications. We hope you find this overview useful. If you think a deeper dive into the API would be helpful, please let us know! Feel free to post your comments below and we’ll be happy to help answer any questions! As we’ve previously announced, eBay is deprecating wildcard queries from search, including web and mobile search, saved searches, and API calls to search. We’ve been working with our Product Team to create documentation around best practices and how you can best move your business forward. Wildcard queries include an asterisk (*) with their keyword search: The asterisk is intended to match all words starting with the letters in the wildcarded word. For example, the keyword search dress* would include in the search results listings with any of the following in their titles: dress, dresses, dresser, dressers, dressing, dressel, dressage, dressup, etc. in their title in the search results. Only ~0.35% of eBay queries contain wildcards, but they take a disproportionally high amount of capacity to support. The impact of wildcard queries can have a significant impact on the responsiveness of the site to all user searches, especially at peak times. This impact is why the industry practice, in both web and commerce search industries, is not to support wildcards of this type. Instead, they follow the same approach as eBay in providing automatic query rewriting, which captures the intent of the user query and matches it to items. In addition, advanced search operators such as exclusion and phrasing are provided for users who want finer-grained control over their queries. There are two approaches to searching without wildcards. The first is to search using a simple keyword search query. eBay is continually improving query processing (http://hughewilliams.com/2012/03/19/query-rewriting-in-search-engines/) to make it simpler for users to find what they want. After being processed, a query can include many variants of the original words as well as being expanded through categories or other item-related data. For example, if the user typed gucci handbags as the query, processing could alter that query to search for (gucci or Brand:Gucci) and (handbag or handbags or purse or purses or Category:Handbags). In many cases, searches that used wildcards a year ago can now be run more effectively as keyword queries. Consider the query anne klein scar*. The intent of this query was to retrieve Anne Klein scarves regardless of whether the seller used scarf, , scarves, or scarfs in the item title. However, the simple keyword query anne klein scarf retrieves all of these items plus items listed in the scarf categories, which may not have the word scarf or scarves in the title. Plus it has the advantage of not including items with Anne Klein and scarlet in the title (e.g., scarlet handbags and jackets): these items would have been returned by the wildcard query. As another example, the query ruffl* curtain* can be replaced by the simple keyword query ruffled curtains and will return all items with ruffle, ruffled, or ruffles in the title that also have the word curtain or curtains in the title or that are in the curtains category. The second approach to searching without wildcards applies to complex advanced queries. In these cases, the most straightforward way to replace a wildcard is by listing the words separated by commas and enclosed in parentheses. For example, if your query was lego minifig* -lot* you can rewrite it as lego (minifigure, minifigures) -(lot, lots) or as lego (minifigure, minifigures) -lot -lots. This query will match items with the words lego and either minifigure or minifigures but without lot or lots. The parentheses () list alternatives. The minus sign – excludes words. In general, the advanced search operators (http://pages.ebay.com/help/search/advanced-search.html#using) such as exclusion, option lists, and phrasing can all be used to fine-tune queries. For example, to further constrain the results, a query can contain double quotes ” ” to force the words in the quotes to appear next to each other and in that order. If the user is looking for a filter for a coffee maker, using the phrased query “coffee maker filter” will return only items with those three words in that order in the title; this query will exclude items that are coffee makers with filters. Note that advanced queries do not undergo any of the automatic expansions that simple keyword queries do. So, the query for coffee maker filters would need to be written as (“coffee maker filter”, “coffee maker filters”) in order to get the rewrite from filter to filters— which would have been included automatically for a simple query. Likewise, the previous advanced search example requires both minifigure and minifigures, as well as -lot and -lots. Our recommendation to our users is this: First try simple keyword queries, easily combined with category and other constraints such as price. Only if that is not fine-grained enough, move to advanced operator queries. We understand you may have additional questions. We’ve made a set of FAQs available that will hopefully answer many of them. If your question is not addressed in the FAQs, please leave a comment below and we’ll do our best to get you an answer. If you’ve been with eBay Partner Network for a period of time, you know that sometimes eBay updates categories as part of the seasonal Seller Releases. On Monday, September 10th the latest changes will go into effect. These changes will affect those publishers that put Category IDs in Custom Banner, RSS feeds, Link Generator or any widget that contains Category IDs as an option. You can see the detailed changes HERE. These changes affect many eBay sites around the world including: US, CA, UK, AU, AT, FR, DE, Motors, IT, BENL, NL, ES, CH, IN, IE and CAFR. In all between 30 and 50 millions items may be moved as part of this update. You can check out the complete 2012 Fall Seller Update for more information. Questions about any of these changes? Feel free to leave your comments below. A few weeks back we did an episode of ePN TV highlighting the new Daily Deals feed. What we overlooked in that piece was the limitation of not being able to add a campaign ID to the feed. For obvious reasons this meant the new functionality, while impressive, was of little use to ePN Publishers. Click “Run Pipe” and you’re done. Again, we apologize for the confusion around the original Daily Deals video. This was an obvious oversight on our part and we hope you’ll give this workaround a try. We are working on a more permanent internal solution, but this is a great alternative for the foreseeable future. If you have questions, please feel to leave them below and we’ll do our best to answer them.